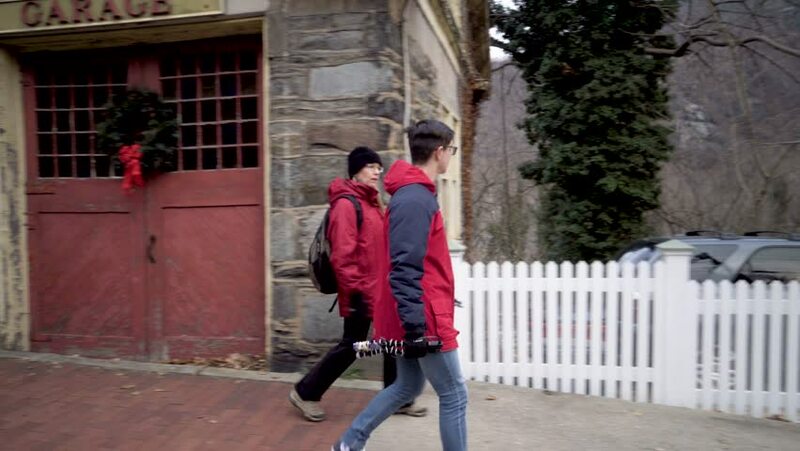 Teenage boy vlogger with camera and mature mother walk down a sidewalk in winter in Harpers Ferry, West Virginia. 4k00:18AMALFI, ITALY on MAY 19th: Main street in Amalfi, Italy on May 17th, 2015. Amalfi is a town and comune in the province of Salerno, in the region of Campania, Italy, on the Gulf of Salerno. 4k00:15MACAU. CHINA - CIRCA JAN 2015: Women participating in Tai Chi training with Weapons in a city park in Macao. China.